We are swooning over Bugaboo’s latest limited edition collection for the Bugaboo Cameleon³ and Bugaboo Buffalo, the Atelier Collection, launching in September 2017. Bugaboo’s previous collections have included collaborations with some of our favourite designers and artists including Marc Jacobs, Missoni, Liberty, Pendleton and Andy Warhol. For the Atelier Collection, Bugaboo is showcasing their own artistic talent and the refined design expertise within their Amsterdam atelier, taking their inspiration from iconic French fashion houses such as Chanel and Isabel Marant. 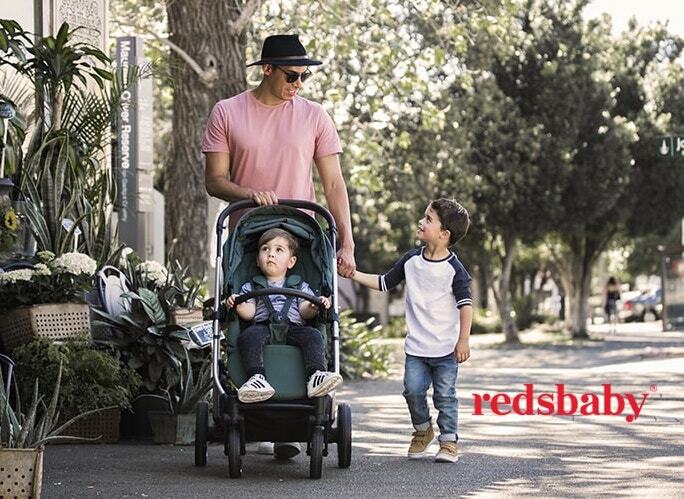 The prams are ideal for the Australian climate with a striking stone mélange fabric that is suitable for all seasons (and delightfully unisex!). As always, this Bugaboo collection is impressive down to the last detail including a quilted black seat liner and hand-stitched leather-look handlebar and carry handle. The Bugaboo Buffalo Atelier ($1949) and the Bugaboo Cameleon³ Atelier ($1869) are available as complete limited edition prams from September 2017, and you’ll be able to try them out at One Fine Baby Melbourne. The Bugaboo Footmuff Atelier is sold as a separate accessory ($229.95) and is compatible with all Bugaboo prams.